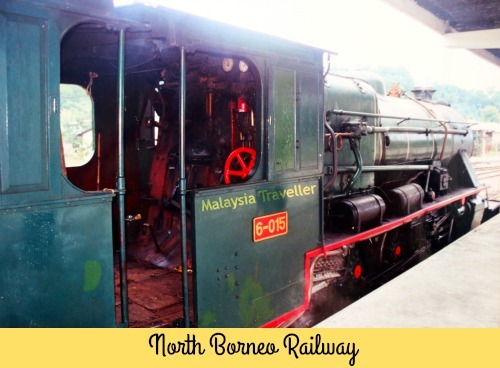 The North Borneo Railway provides nostalgia-loving tourists the opportunity to experience a half-day outing in a retro styled railway carriage pulled by a classic British-made Vulcan steam locomotive. These tours, which are operated by Sutera Harbour Resort, only run twice a week and include a continental breakfast and a tiffin colonial style lunch. 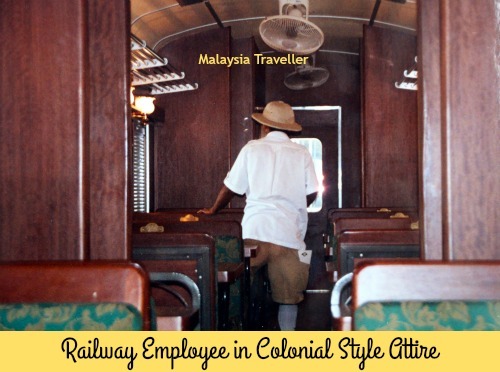 The staff onboard the train wear colonial era pith helmets, 'empire builder' shorts and long white socks. The train runs from Tanjung Aru in Kota Kinabalu to the small town of Papar - a distance of around 35 km each way - on tracks owned by the Sabah State Railway. 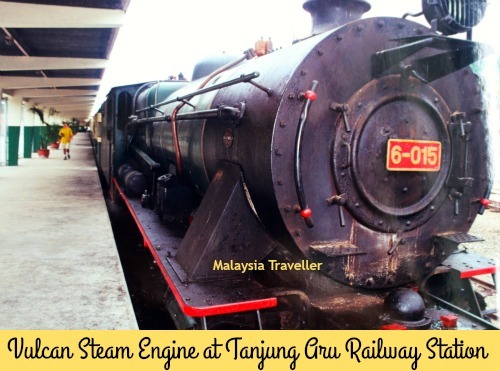 Passengers should arrive at Tanjung Aru Railway Station at 9:30 am where a continental breakfast will be served onboard before the train departs at 10am. It chugs along at a leisurely 20 kph through KK’s urban sprawl and provides glimpses of the South China Sea near Lokawi Bay. More rural kampung village scenes are next before reaching the town of Kinawat. The train stops here for 20 minutes allowing passengers a chance to disembark for a quick look at Tien Shi Temple. Then the journey continues past paddy fields before reaching Papar at 11:45am. The train stops here for 35 minutes so you can get off to stretch your legs and perhaps visit the local wet market and some local shops. 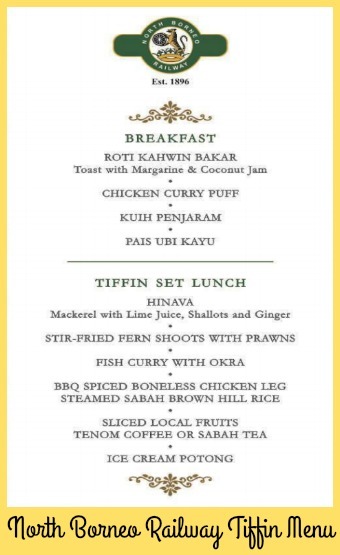 The train departs Papar at 12:20pm following which a colonial inspired tiffin lunch is served before arriving back at Tanjung Aru at 1:40pm. RM 345 per adult or child aged 4 and above. Includes 10% service and 6% GST. 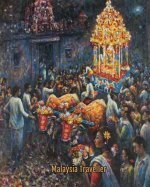 Free for children below 3 years old. This price includes continental breakfast and Tiffin style lunch (a blend of Asian and Continental cuisine with homemade lemonade). 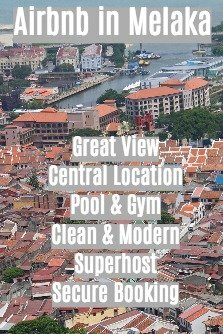 The price also includes transfer from the Sutera Harbour Resort hotel but only for guests staying at that hotel. Everyone else has to find their own way to Tanjung Aru Railway Station (see below for directions). NB The train only runs twice per week - on Wednesday and Saturday only. Boarding is at 9:30am at Tanjung Aru Station. Arrive on time to enjoy the continental breakfast before the train departs at 10am. You need to book at least one day prior to departure. Here is the map with directions on how to get there (click on the 'View Larger Map' symbol in the top right corner to be able to get your bearings). Probably easiest to take a taxi to Tanjung Aru Railway Station. Taxi fares from Kota Kinabalu city centre start from around RM15. Or you could try the bus. Take No.17B bus (to Putatan) from the bus station. Buses run from 6.30am to 8pm. Bus fare is around RM1.50 per person. This is not exactly the Orient Express but it is a pleasant little novelty train to conjure up the feel of yesteryear. The food is good. It is too expensive in my opinion but most tourists who take this tour are pre-disposed to vintage train travel and seem to enjoy the trip. If budget is an issue, or if the fact that this train only runs twice a week is a problem, you could take the Sabah State Railways regular train service instead, which runs six services per day from the same Tanjung Aru station. The fare to Papar is just Rm1.85 (adult fare each way). Or you could take the train all the way to Tenom (134km) for just RM7.50 and see a lot more of Sabah’s scenery along the way. Of course the train is modern and faster, so no nostalgic feel, and no tiffin meals are served but it is much better value for money. You can find the timetable here.